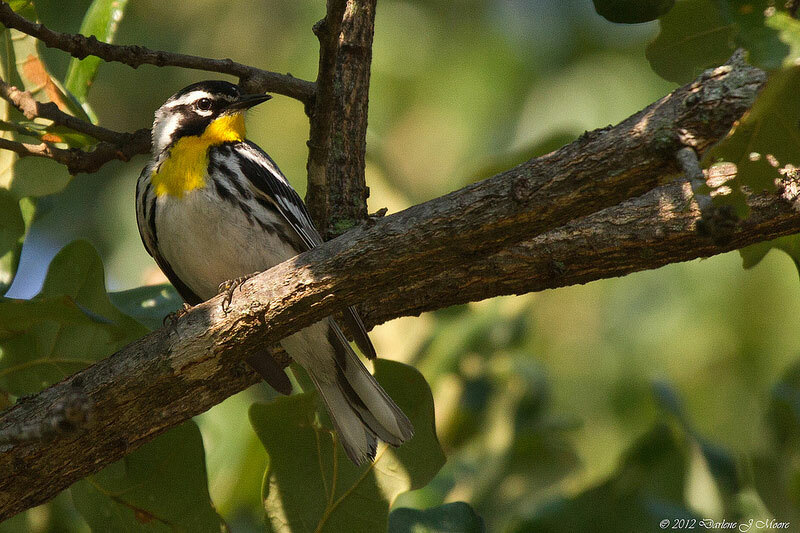 A small, but apparently healthy, population of Yellow-throated Warblers breeds in several old planted stands of pine on the Caddo National Grasslands in northeast Fannin County. This singing, territorial male was photographed there in late March 2003. Notice the white lores, characteristic of the race Dendroica dominica albilora, which breeds in the western portions of the species range. A disjunct population of Pine Warblers also breed here, well away from the species main east Texas breeding range.